The term Range Rover invokes plenty of thoughts in the minds of people due to its unique persona and the exuberant charisma. Ever since the initiation of the production of these high-performance executive vehicles, it has never let its owners down. British company ‘British Leyland’ launched it in 1970. It is assembled in the United Kingdom and Australia. In the USA, it started its operations as North America Land Rover. Based on their features, design, structure, and technologies, Range Rovers are divided into 4 generations, from 1970 to 1996 the first generation of Range Rovers was manufactured. The second generation Range Rovers was produced from 1994 to 2002. When the third generation came out, 2002 had already started so it kept going on until 2012. The generation, which is being built and drove now, is the fourth generation. The Land Rover Range Rover, which is simply known as Range Rover, is a full-sized sports utility vehicle (SUV). It is the biggest vehicle of Land Rover family in terms of size. It is a revolutionary automobile, which is bound to startle all your imaginations. It comes in many editions as Evoque, Velar, Vogue, and Sport. The Range Rover Evoque is comparatively a recent edition, which came with modifications and upgrades. Jaguar Land Rovers manufacture it. As its name suggests, Evoque is a sensational vehicle that leaves a long-lasting positive impression on its users. Range Rover Velar, on the other hand, portrays a reductive approach but it can be observed that a lot of attention has been given to the precision in every detail, which mirrors the essence of the Range Rover DNA. It is known for its awe-inspiring design and amazing performance. The Range Rover Vogue is actually the pioneer edition of Range Rover. It was introduced in 1970 but back then, it was known as Range Rover Classic. It is simply a piece of art. Every curve is designed with a lot of care and detail. That said, its performance as a vehicle knows no bounds. When its powerful engine works in collaboration with the smooth Range Rover Vogue gearbox, the result is an astonishing experience of a wonderful drive. Gearboxes for Range Rover Vogue is not just one of the premium piece of engineering but also quite impressive in smooth working. The buyers of the Range Rover get the facility of choosing from four Range Rover Engines. These include a V6, two V8s, and a turbo diesel engine. The petrol engines are super-charged and the standard 3.0-litre V6 engine produces 340 horsepower, which is amazing. The 550-horsepower version of the V8 installed in the new SV Autobiography Dynamic produces 502 pound-feet of torque, which makes it the most powerful Range Rover ever manufactured. The 3.0-litre turbo diesel V6 engine is even more remarkable. It generates 443 pound-feet while also achieving 28 mpg on its highway cycle. The company also produced its very own Ingenium Turbocharged branded engine. All these Range Rover Engines are coupled with 8-speed automatic transmission systems. 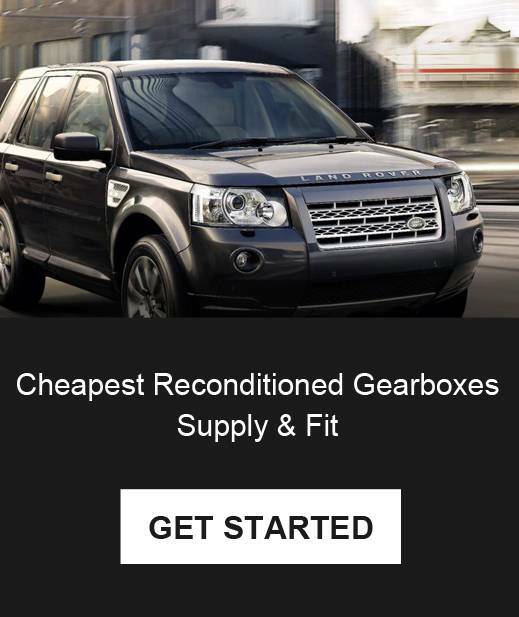 Range Rover Gearboxes are no less than its engine by any sort. They are specifically designed to provide a seamless transmission to enable the engine and the vehicle to perform at their best. The Range Rover is one of the very few vehicles that have achieved five-star rating by ENCAP, which is a world-renowned safety testing organization, which means it is one of the safest SUVs around. It can easily be judged by this state that how much attention the company gives to its customers’ safety. Its Driver Condition Monitor system monitors different inputs to anticipate fatigue of the driver and alert him to take a break. Furthermore, Traffic Sign Recognition system reads all the roadside signs, which then keeps the driver aware of the driving conditions and rules and warns him to act accordingly. There are several other safety features too. Therefore, if you want an executive vehicle with the best performance, designs, and safety, go for it.